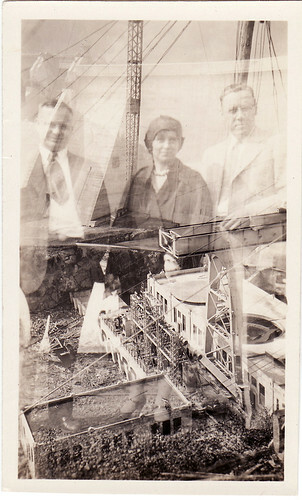 One of the kinds of photos I collect are double exposure photos. 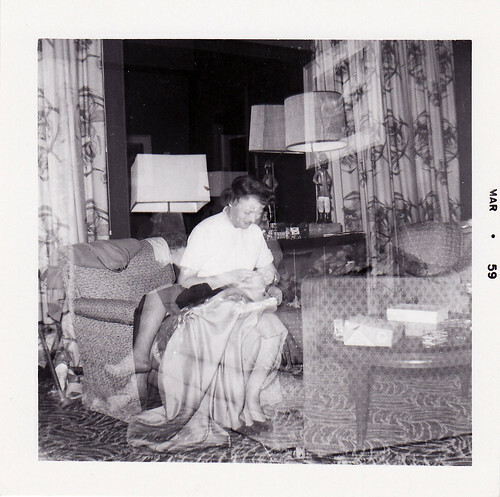 I often call them ghost photos. They are so intriguing and dramatic. They always have this otherworldly feeling and often create a depth that is only made stronger by the fact that it is accidental. This is something that won't happen anymore with people using digital cameras. Sure they can create the effect, but that is not the same as the accidental layers. I used this imagine in one of my zines. I use a lot of my photos in my zines. I was so happy when I discovered zines and I finally had a place to "use" the photos I had been collecting. The one above I got recently and I really love it. If you want to get some photos and antique papers for yourself, there is a show coming up Oct 17 and 18th here in Portland. There doesn't seem to be a good website for it, but here is the listing. I think you should go.